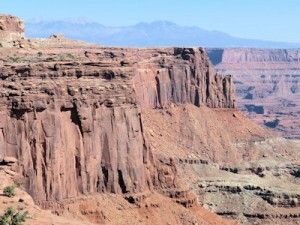 Utah – Canyons, rivers, hard piles of sand called ‘slickrock’, to soft blowing sand dunes – and so much more. Come with us, let us surprise you with not only what you can see, but with what you can do. Our wonderful Arches and Canyonlands tour, based out of Moab, UT, is going through a change on our end in 2018, but it shouldn’t be visible to our travelers. After many years of fun with lots of travelers, we are spinning this trip off to two of our long-time assistants who are starting their own tour company with this trip as its cornerstone. This trip is run through REI Adventures, please click the link to go to their page for trips dates, details, cost, and to reserve your spot. UTAH – Think canyons, from wide and deep to narrow slots, deserts, sandstone piled high in slickrock mounds, arches and hoodoos, fins and slabs of stone in layers cut open for all to see. And don’t forget the mountains, not just the powder-snow ski areas of the north, but the islands of rock in the south. We have been wandering this landscape on our own, and with others, for 30+ years, and are still finding new places to explore. We have traveled this landscape with other guides, working for them, working with them, to expand all of our knowledge and experience, and make sure that we can take you to the special places we all treasure. We sometimes work together, sometimes swap trip responsibilities, so we can maintain a schedule of trips that we know will please you. So on some of these trips, check with us to learn who the guides are by name, whether they are ‘ours’ or someone else that we know and have worked with so you can be sure of the best experience. It took us a while to sort out the itinerary and especially to solve the lodging problem, not just a place to sleep each night but a place that adds to the trip and its memories. We think we have something special with this trip that can bring daily surprises – but with the cost of time spent in the van to get to the next unique place in the region. This trip is currently offered through REI Adventures, contact them for pricing, itinerary, and booking. 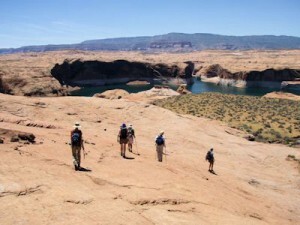 Here are a few other options for you to consider, one is our exclusive, all-time favorite tour, the Lake Powell Hiking/Kayaking trip – we just got back from a Fall 2017 Private trip there on a custom itinerary – the other two are run by another guide company, Steve Kasper, through REI Adventures, but they are trips that we have done in the past, and ones that you might see our friendly faces on in the future. Lake Powell Hiking & Kayaking – The lake, enclosed by the huge Glen Canyon National Recreation Area, is one of the Southwest’s treasures. On the UT/AZ border, with the equally huge Escalante/Grand Staircase National Monument to the North and the Navaho Nation to the South, it is far away from anywhere, yet heavily used in its peak season by fishermen, campers, and water-sports lovers. It has three points of access, Bullfrog and Hite in UT and Page, AZ, to serve what is a 185-mile long lake, with hundreds of miles of shoreline consisting of vertical sandstone walls, slickrock ledges, and occasional sand beaches. Our houseboat-based trip is designed to get you to places few visit, seldom-seen spots that are always spectacular, each in its own way. Paddling along vertical rock faces that tower hundreds of feet straight up, paddling or hiking into water-twisted sandstone corridors with amazing lighting effects, finding hidden treasures such as waterfalls, ancient rock art, Anasazi or Fremont ruins, all add to the almost mystical surprizes waiting here. Spending time in what is really a desert environment, and being able to jump in the lake for a day-ending refreshing swim, is an added plus. 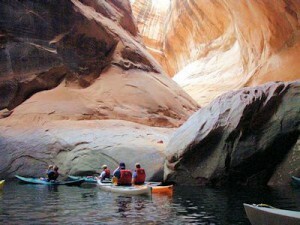 Our trip is focused on one arm of this huge playground, the Escalante river and the canyons that feed it. The lake and our kayaks are ways for us to get you to places that were almost out of reach before the lake filled the canyons, places that were often multi-day hikes through very difficult country. This is a challenging trip to lead, because of the variables; what campsites are open – there are no reservations out here, and what may have been a great site the previous trip could easily be 10 ft above our heads, or 10 ft underwater, on the next trip due to lake level fluctuations – and what will be the weather for the week. All this makes the daily itinerary subject to change, but our guides on this special, unique trip have a deep knowledge of this area and can always keep you interested and excited about our daily adventures. Click HERE for more details on this trip. Zion & Bryce Hiking – These are two of the smaller National Parks in Utah, but each is spectacular in its own way. Zion is known for its towering slickrock sandstone, deep water-cut canyons, and a few simply amazing overlooks that you can only get to by foot. 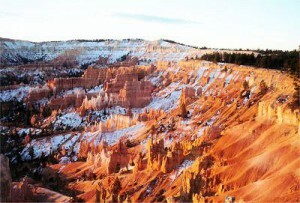 Bryce is dominated by red – red sandstone, a layer above what is found in Zion, softer stone that has been wind and water shaped into towers, fins, and hoodoos. This trip into this wonderland is an REI Adventures trip, and is run by another guide service, Steve Kasper, whom we often work with on these southern/desert trips. While you might find one of us on the many available dates for this trip, the last one of each season is where you are sure to find us, Jody has been the lead guide on the last trip for many years. But whenever you travel here, whoever you travel with, we know you will remember this trip for a lifetime. Go to the REI Adventures trip page for details on cost, available dates, and detailed itinerary. 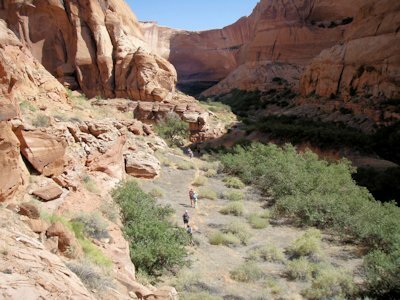 Capital Reef and Escalante Hiking – This is the area we know – and love. The Escalante, especially, is where we have collectively spent the most time, either hiking in from the north, or paddling in from the south (our Lake Powell trip). The Escalante/Grand Staircase National Monument is huge alone, add in the nearby Capital Reed National Park, and its over 2 million acres of wild landscape waiting to be explored. Desert sands, running water, amazing views, and deep slots, are all part of this playground. This trip is another that has involved both us and another Southwestern guide service, Steve Kasper. While we have done it many times, it is currently an REI Adventures trip operated by Kasper – although its possible for you to see our faces here as well. Please visit the REI Adventures trip page for more information including available dates, cost and itinerary, and to book your next adventure into our playground. 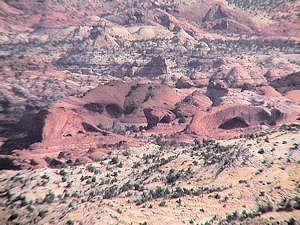 Utah Places: Arches National Park, Canyonlands National Park, Escalante/Grand Staircase National Monument, Glen Canyon National Recreation Area, Bryce Canyon National Park, Zion National Park, Cedar Breaks National Monument, Natural Bridges National Monument, Goblin Valley State Park, Grand Gulch and Dark Canyon Primitive Areas, Pine Valley Mountain – Box-Death Hollow – and Dark Canyon Wilderness Areas, major portions of Dinosaur and Hovenweep National Monuments (both shared with Colorado), LaSal – Henry – Boulder – and Abajo Mountains, and millions of acres of public BLM land open to explore that include the wonderful San Rafael Swell or the views from the Book Cliffs, Red Cliffs Desert Preserve and the nearby Red Cliffs Recreation Area, Comb Ridge, Cedar Mesa and the drive not to be missed, the Moqui Dugway down into the Valley of the Gods. Utah: If you would like a special, custom trip, contact us, we can take you to places…..